Land 400—too much of a good thing? The government will soon announce the successful bidder to replace the Army’s ASLAV armoured cavalry vehicles under project Land 400 Phase 2 Combat Reconnaissance Vehicles (CRVs). My new ASPI Strategic Insights paper can be found here. 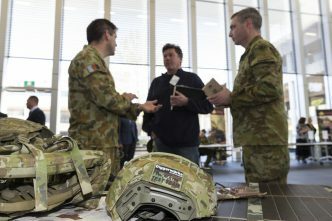 The two contenders are BAE Systems Australia’s Armoured Modular Vehicle (AMV) and Rheinmetall Defence Australia’s Boxer vehicle. They resemble one another and, to an extent, the ASLAV vehicle they’ll replace. All three are eight-wheeled armoured vehicles, originally designed to carry infantry, with two-person turrets armed with a high-velocity automatic cannon. The CRV’s prescribed role is unchanged from the ASLAV’s: reconnaissance, counter-reconnaissance and constraining enemy freedom of manoeuvre with firepower. But there are significant differences behind those similarities. Most obviously, the two future contenders are much bigger and heavier than the ASLAV. And not just a little—they’re two to three times heavier. The AMV weighs around 30 tonnes and the Boxer around 38 tonnes, depending on the mission configuration. That increase in size and weight has pros and cons. On the pro side, the contenders are much better protected against the latest weapons systems, including roadside bombs (or improvised explosive devices—IEDs), cannon fire and artillery fragments than is the ASLAV. The danger and ubiquity of IEDs weren’t appreciated when the ASLAV’s forbears were designed in the 1970s. 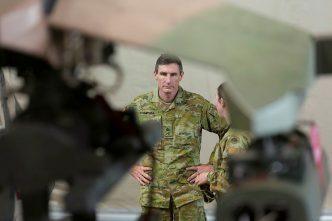 And force protection has become a significant, indeed overbearing, design consideration for contemporary Western defence organisations and the governments they serve. The two contenders also have better weapons, sensors and battle management systems than the ASLAV, and those extra systems add up to extra weight and size. The downside is that extra vehicle weight detracts from strategic deployability, tactical mobility (particularly if roads are of poor quality and bridges are limited), and is logistically difficult to sustain. To give a practical example from recent history, in the early, tense days of the INTERFET mission to East Timor, the ADF was able to airlift ASLAVs and M113 armoured personnel carriers to East Timor using C‑130 Hercules transport aircraft. Neither the AMV nor Boxer vehicles can be carried by a C‑130. Even the heavy-lift C‑17 can only carry one Boxer or, at a stretch, two AMVs. On the ground, the mobility of the AMV and Boxer is understood to be as good or better than the ASLAV’s when run through Defence’s testing grounds. But the poor quality roads and limited bridges in regional Australia or in countries in our neighbourhood would be a more demanding test if the CRV ever has to operate in a real mission where the locals don’t like seeing their transport infrastructure ruined. A focus on logistics, to paraphrase the truism, is what distinguishes military professionals from amateurs. Large and heavy CRVs, compared to a more diminutive vehicle, are more capable in a firefight (definitely worth having), but might be a drag on the campaign. They come with a larger logistic footprint, which might be difficult to sustain where infrastructure isn’t well developed—as is typical of northern Australia and the region. Logistics problems are sometimes narrowly perceived as merely annoying and costly administrative burdens, but they can easily affect the prospect for success of the mission and campaign. Pity the members of the Defence department’s Defence Investment Committee and the National Security Committee of Cabinet (and their staffs) as they try to compare these apples and oranges—better protection and more systems versus difficulty in getting forces to the theatre, constrained movement within the theatre, and a more challenging logistics struggle. Clearly, some prudent balancing of risks is required. It would help the process if the strategic guidance for force design were as clear and as specific as possible (allowing for future uncertainties). 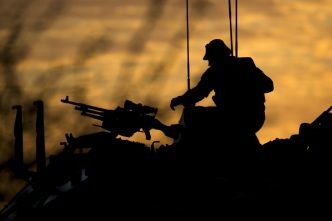 Unfortunately for the decision-makers, the recent 2016 Defence White Paper—should they choose to adhere to it—says that Australia’s force design process must give equal priority to defending Australia, contributing to the security of our neighbourhood and contributing to coalition operations to support a rules-based global order. That’s like trying to have your cake and eat it too. A coalition operation in the Middle East or Eastern Europe would probably put a premium on close combat protection and firepower. But stabilisation operations in our neighbourhood would favour logistic sustainability and strategic deployability. Looking at the shortlist, it seems that the Land 400 criteria are weighted towards protection and firepower over logistics and deployability. It’s an understandable temptation for governments to try to have strategic guidance cover all bases, but in reality that means that decision-making risk is transferred down the line to force designers. Left to its own devices, the military will generally opt for more protection and firepower—even if that means that the equipment is less suitable for some likely missions. Somewhere the contradictions need to be balanced, and a judgement made about how much of a good thing is too much. Ben Coleman is a visiting fellow at the Strategic & Defence Studies Centre at the Australian National University. He was formerly a senior public servant in the Department of Defence, where he worked in the areas of strategic policy, intelligence assessment, international policy and capability development. 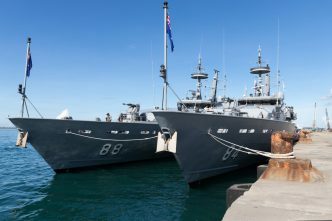 Images courtesy Australian Department of Defence.